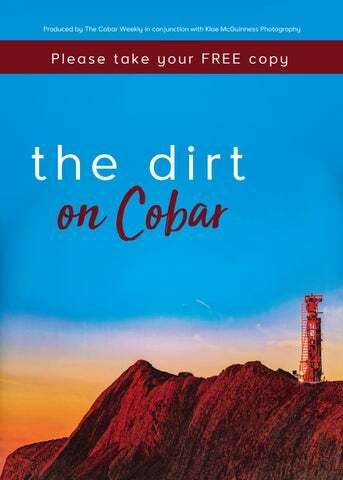 If you want the inside scoop on Cobar then The Dirt on Cobar is for you. It’s filled with great information about local businesses, attractions and facilities, plus interesting stories from locals and brilliant photos of local landscapes. You can read the magazine online or pick up a FREE copy from The Cobar Weekly office, Great Cobar Heritage Centre and many local businesses.